A billionaire businessman with secret ties to Russia becomes the Republican presidential candidate. Does this plot sound familiar? 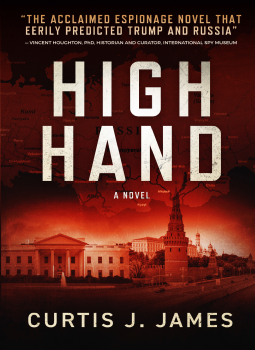 Years before the rise of Donald Trump, Curtis Harris, James Ellenberger, and James Rosen may have predicted the crazy political landscape we have been recently experiencing in their espionage thriller High Hand [Copper Peak Press, January 4, 2018]. In High Hand the billionaire Republic nominee, Stuart Roberts, is on a glide path to the White House until a bomb explodes during a campaign rally in Los Angeles leaving him seriously injured. Is there a connection between a bomb blast meant to kill the presumptive Republican presidential nominee and a group of prominent men who played poker in Moscow years ago? Fifteen years earlier, while serving as a US ambassador to Russia, Roberts was one of the poker players in a group organized by Frank Adams, a Moscow correspondent and top investigative reporter for the Los Angeles Register. The story centers around Frank Adams, who is on a mission to figure out why his old poker buddies are being targeted for assassination. When Adams gets a call from an old friend in Russia, he returns to his old stomping ground and risks his life in a high-stakes bid to uncover the truth about the Republican presidential candidate’s secret ties to Russia. In the midst of threats to reporters, Adams discovers bizarre intervention by President Vladimir Putin and a US spy agency’s covert effort to alter the presidential race. Curtis J. James is a pseudonym for the three writers who collaborated on this book. They are Curtis Harris, James Ellenberger, and James Rosen. JAMES ELLENBERGER worked for nearly 30 years in numerous capacities with the national AFL-CIO. A Vietnam War veteran, he has written numerous articles on international labor affairs, social insurance and medical care for injured workers. He is a founding member of the National Academy of Social Insurance. CURTIS HARRIS is a physician-scientist who is world-renowned in the field of cancer research. Dr. Harris has published more than 500 journal articles and 100 book chapters, has edited 10 books, and holds more than 25 advanced biotechnology patents owned by the US government. He is chief of the Laboratory of Human Carcinogenesis at the NIH National Cancer Institute. He is adjunct Professor of Oncology at Georgetown University School of Medicine. JAMES ROSEN is an award-winning political and national security journalist who reported from Moscow during the historic collapse of the Soviet Union. Since then, he has covered the Pentagon, the White House and Congress, producing a number of complex investigative articles on insecure nuclear weapons (“loose nukes”) in Russia; alleged Saudi complicity in the Sept. 11 attacks; sleeper Islamic jihadist cells in Europe; and a range of other cutting-edge topics. 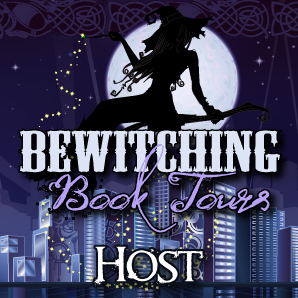 For more information, visit www.curtisjjames.com and connect with the authors on Goodreads, Facebook, Twitter, Instagram, and Pinterest. “The Acclaimed Espionage Novel That Eerily Predicted Trump and Russia." High Hand released January 4, 2018.